King Horik is one of the main characters in the Irish-Canadian TV series ‘Vikings’ from History Channel. Along with many other historical characters portrayed in the show, King Horik is erroneously depicted from the historical point of view. The historical inaccuracy in the show stems entirely from the artistic license of the serial’s producers and writers in order to make it more attractive to larger audiences. 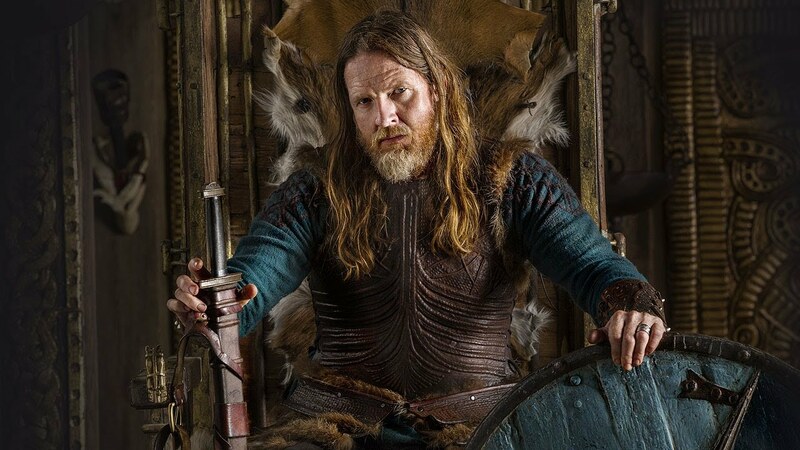 In the show, during the first two seasons, Horik Gudfredsson is initially forging an alliance with the then earl Ragnar Lothbrok in order to defeat his cousin Hemming and become as such king in his place. After Hemming’s usurpation from the throne of Denmark, Horik gradually becomes more and more worried about Ragnar’s ambitions and fears that there will be a day when he might be actually threatening his royal status. Eventually, Horik is murdered by Ragnar, but only after Ragnar gets to know that he had been previously conspiring against him. In reality, King Horik was the leader of the Danish Vikings during the early Middle Ages (specifically in the time of the Viking Age). His reign lasted from 827 to 854. He opposed conversion to Christianity and conducted many raids in the Frankish Empire during Louis the Pious’ reign. Horik was the son of Gudfred, a legendary Norse chieftain who is also renowned for his raids in the Frankish Empire during Charlemagne’s reign. During Horik’s reign, the Danish Vikings made several incursions in Frisia and modern day northern Germany, sacking the cities of Hamburg and Dorestad as well as plundering the island of Walcheren (located in present day Netherlands) in the process. He met with an unfortunate end though, but not exactly as portrayed in the show. His death wasn’t at the hands of Ragnar Lothbrok (who had actually been ordered by him to plunder Paris in 845). Horik is said to have been killed by one of his nephews whom he had exiled. In the meantime, this nephew went to be a very powerful raider.